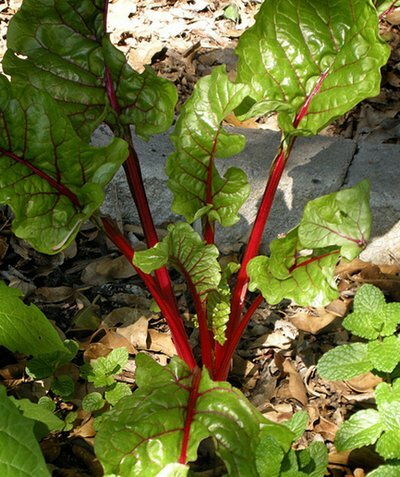 The plant beet, scientific name Beta vulgaris, is a herbaceous biennial (rarely, perennial) plant with leafy stems that grows one to two meters (40-80 inches) tall. The plant has several cultivated varieties, with beetroot being the most popular one. Beetroot is also referred to as garden beet, table beet, red beet, or simply as beet. It is the most commonly encountered beet variant in Britain, North America, and Central America. The typical deep, red roots of beetroot are often eaten cold as a salad or boiled as a cooked vegetable. The green leafy portion of the plant is also edible, this is usually served steamed or boiled, and has a similar taste and texture to spinach. Beetroot is a good source of antioxidants, and of nutrients such as sodium, magnesium, potassium, Vitamin C and betaine (essential for cardiovascular health). A growing Beetroot plant by PermaCultured. There are two main variants of Beetroot – the globe or round beetroots, and the long beetroots. The globe varieties have roots that are spherical in shape, while the long beetroots have a similar shape to parsnips. The roots of the long varieties can reach up to 10 inches (25 cm) in length and tend to take longer to develop than the globe varieties. Globe or round varieties of Beets come in different colors such as deep red (Red Ace), red (Bolthardy), and golden (Burpees Golden). Red Beet (Beta vulgaris L.) by Dag Endresen. When preparing the seed bed, first dig over the site with a spade, and remove weeds and any particular large stones. Next roughly level and work over the area with a rake to produce a fine finish. It is recommended to prepare the bed two to three weeks in advance of sowing to have ample time to rake the soil and to place general granular fertilizer across the site. Beetroots love a well-fertilized soil that is rich in organic matter so it is best to use lots of compost, either homemade or multipurpose. The seedbed should not be acidic, with an ideal pH of 6.5 to 7.0. Beetroot performs best in light to medium soil so digging over heavy soils really helps with the cultivation of the plant. It is capable of growing in part shade and full sun, but make sure the soil doesn’t dry out when placed in full sunlight. Beetroot should not be planted until after the last frost; this can be brought forward by the use of a cloche cover or poly tunnel. Soak the seeds of the plant a few hours before sowing. You may prefer to first sow the seeds in seedling pots for later transplanting into their final growing position. When sowing in rows, there should be approximately 12 inches (30 cm) spaces between rows, plant the seeds one inch (2.5 cm) deep, and cover with soil. The seed clusters should be sown around two inches (5 cm) apart. Make sure that the soil remains damp until the germination of the seeds has occurred. It is likely that there will be many emerging seedlings, so thin out all but the strongest seedling from each seed cluster. Once the seedlings have reached two inches (5 cm) in height, thin them to their final positions. This should be around four inches (10 cm) apart for the globe varieties, and six inches (15 cm) for the long varieties. For those who have small gardens, the Beet plant can also be grown in pots and containers. To grow in pots—ideal only for globe varieties, not long ones—use containers that are at least eight inches (20 cm) in diameter and eight (20 cm) inches in depth. Loosely fill the container with multi-purpose compost, leaving a layer of compost on top. Thinly sow the seeds across the surface and then cover with 0.75 inches (2 cm) of compost. Use a sufficient amount of water to keep the soil moist (the amount of water needed will vary depending on the size of the container, and the amount of soil inside the pot). Thin out seedlings when they are about 0.75 inches (2 cm) tall, leaving five inche (12 cm) gaps between them. Harvested Beetroots Photograph by Loopzilla. Avoid letting soil dry out as this will result in roots become woody and less succulent, and can also lead to a reduction in the growth rate of the plant. Make sure that at least one foot (30 cm) deep of the garden soil is always moist, the application of a mulch helps greatly for this purpose. Weed on a regular basis, especially when plants are still young. If necessary conduct soil amendments by the application of fertilizer to assure that the soil has sufficient nutrients available for the growing beetroot. 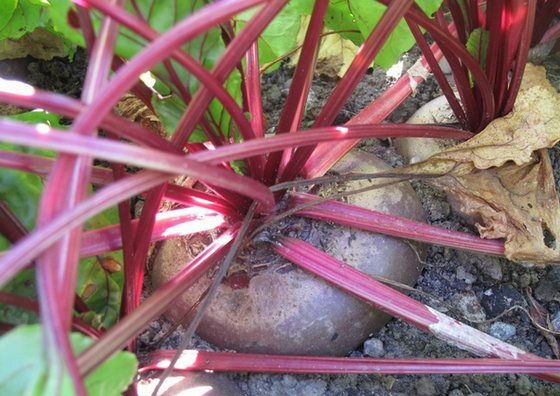 For mis-shapen beetroots, place the plant in organic crumbly loamy garden soil. Incorrect harvesting can cause beetroots to bleed and lose color. Avoid cutting off leaves when harvesting the plant but rather twist the top off the root. 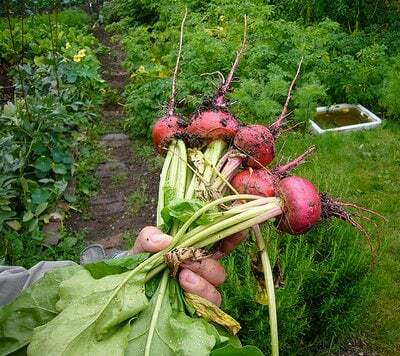 The seedlings of the plant will tend to wilt and fall over if cutworms attack the beetroot seedlings. Always keep the garden clean and carefully remove any pests. Once the globe beetroots are about an inch (2.5 cm) in diameter, they are already at their most tender and greatest flavor. Avoid letting globe variants reach more than three inches (7.5 cm) in diameter as further growth makes them less palatable. With the use of a trowel, dig under the root gently and lift the bulb out of the soil slowly in order to avoid damaging the outer skin. Be careful not to damage the outer skin as this will allow the beetroot to be stored for a longer period of time. 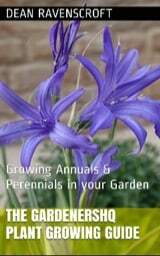 Utah State Extension; Wikipedia; How to Grow; I grow veg; Ohio State University Extension.